The school day starts at 8.45 am and finishes at 3.30pm. Registration is from 8.45am to 8:55 am. All children are required to be in school for 8:55am at the latest. During registration, children in Year One upwards reflect upon their learning from the previous day and respond to the teacher’s marking. They complete corrections to reinforce basic skills such as letter formation, spelling, punctuation or errors in Maths. All children participate in an Assembly each day. This varies from whole school, single class or Key Stage. Reverend Peter from All Saints’ Church in Madeley, is a regular visitor to our school and leads assemblies on alternate Tuesdays. On Mondays to Thursdays assemblies take place during the afternoon. On Fridays the whole school shares a Celebration Assembly at 9:10 am. 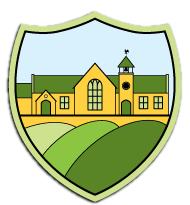 Children from Y1 to Y6 have a short break from 10.30am – 10.45am. Toast is provided as a snack. Reception break times are quite flexible. Towards the end of the school year, they will join children in Key Stage 1 to have breaks at set times. All children have their lunch break from 12.15pm-1.15 pm. The younger children eat their lunch first, followed by the older children. All children in Reception and Key Stage 1 are entitled to a free lunch provided by the school (cooked or a sandwich) under the Universal Free School Meals scheme. Children in Key Stage 2 either bring their own packed lunch from home, or pay for a school lunch. There is a short afternoon break for the children in Reception and Years 1 and 2. They enjoy a selection of fresh fruit, as a snack. At the beginning and end of the school day, parents are encouraged to come into the playground. This helps to build up a close relationship between home and school – we want to have good links with all parents. If normal arrangements have to be altered (e.g. you are delayed or another person is collecting your child), please let us know. This avoids any confusion or upset. To get to and: it’s healthier than travelling by car, it improves the safety of pedestrians and road-users, and it respects nearby residents and from school, walking is definitely the best option! There are lots of benefits parking regulations. The School Crossing Patrol Service helps children and the adults cross the busy road safely. Alternatively, we have a small number of bike-racks. If you do need to travel by car, please park wisely and consider our neighbours. Please ensure you do not park along the yellow zig-zags.